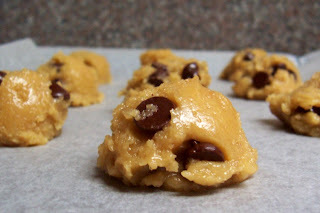 I used to be a complete failure in baking cookies, my cookies often ending up in melted chocolate chip cookie-flavored sheets or dry and hardly edible baked oddities. Persistence paid off and soon, I was baking cookies like crazy. 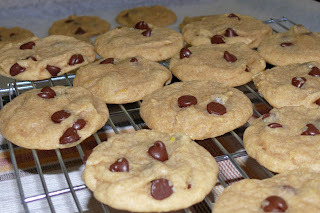 This is one of the simplest chocolate chip cookie recipes I have in my chocolate chip cookie recipe database (yes, I have one. Don't ask me why.). I have about a hundred different recipes and I made it a personal quest to try every single one of them to find the best ones. 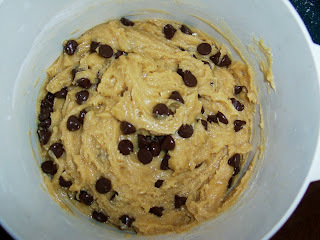 And to show you just how simple this is, especially to those who feel intimidated about baking chocolate chip cookies, I took step-by-step pictures of the whole process. Get ready with the milk, kids! Preheat oven to 160 degrees celsius. Line cookie sheets with parchment paper. 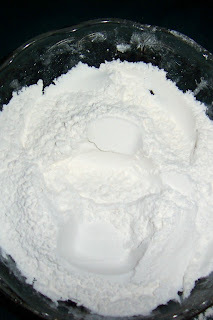 In a bowl, whisk together flour, salt, and baking soda. 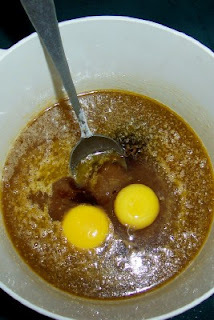 In a separate bowl, beat together the butter and sugars. Blend in the egg, egg yolks, and vanilla. Make sure the chips are distributed evenly in the dough. 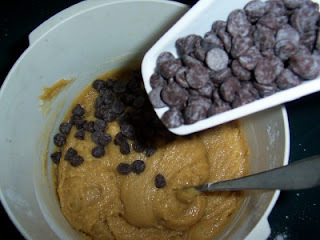 Scoop about two tablespoons of the chocolate chip cookie dough on to the cookie sheets and pat down the mounds to half an inch thickness. 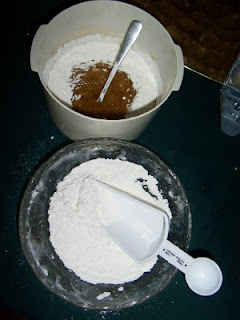 Make sure they are about two inches apart as they will spread when baking. Bake for ten minutes. 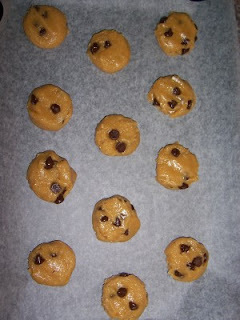 After baking, let the cookies cool in the baking sheets for about two minutes (they will shrink a bit). Transfer the cooled cookies on wire racks to cool completely. A picture is worth a thousand words. Excellent job with the step by step instructions and photographs. 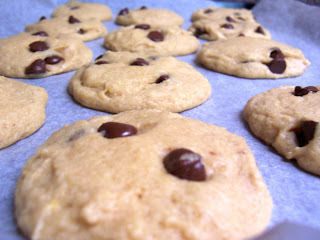 This will help the greenest beginner to easily bake this cookie. 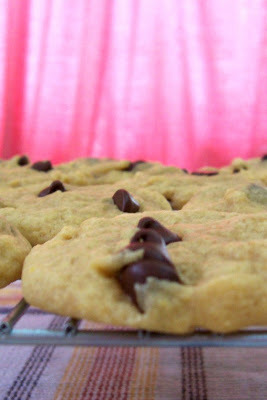 Thank you for the easy cookie recipe and the photographic step by step instructions. It took some time and effort on your part, but it will be worth it to those that are cookie baking challenged.